Book edited by Sarah B. Macfarlane and Carla AbouZahr: “This handbook compiles methods for gathering, organizing and disseminating data to inform policy and manage health systems worldwide. Contributing authors describe national and international structures for generating data and explain the relevance of ethics, policy, epidemiology, health economics, demography, statistics, geography and qualitative methods to describing population health. The reader, whether a student of global health, public health practitioner, programme manager, data analyst or policymaker, will appreciate the methods, context and importance of collecting and using global health data….(More)”. Working Paper by Ajjit Narayanan and Graham MacDonald: “Data is a critical resource for government decisionmaking, and in recent years, local governments, in a bid for transparency, community engagement, and innovation, have released many municipal datasets on publicly accessible open data portals. In recent years, advocates, reporters, and others have voiced concerns about the bias of algorithms used to guide public decisions and the data that power them. 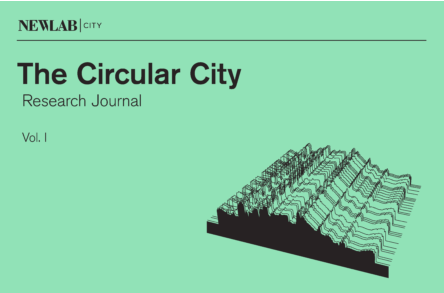 First Volume of Circular City, A Research Journal by New Lab edited by André Corrêa d’Almeida: “…Circular City Data is the topic being explored in the first iteration of New Lab’s The Circular City program, which looks at data and knowledge as the energy, flow, and medium of collaboration. Circular data refers to the collection, production, and exchange of data, and business insights, between a series of collaborators around a shared set of inquiries. In some scenarios, data may be produced by start-ups and of high value to the city; in other cases, data may be produced by the city and of potential value to the public, start-ups, or enterprise companies. The conditions that need to be in place to safely, ethically, and efficiently extrapolate the highest potential value from data are what this program aims to uncover. Similar to living systems, urban systems can be enhanced if the total pool of data available, i.e., energy, can be democratized and decentralized and data analytics used widely to positively impact quality of life. The abundance of data available, the vast differences in capacity across organizations to handle it, and the growing complexity of urban challenges provides an opportunity to test how principles of circular city data can help establish new forms of public and private partnerships that make cities more economically prosperous, livable, and resilient. Though we talk of an overabundance of data, it is often still not visible or tactically wielded at the local level in a way that benefits people. Next, the case study documents and explains how The Circular City program was conceived, designed, and implemented, with the goal of offering lessons for scalability at New Lab and replicability in other cities around the world. The three papers that follow investigate and methodologically test the value of circular data applied to three different, but related, urban challenges: economic growth, mobility, and resilience. At the end, the conclusion offers a meta-analysis of the value of circular city data for the future of cities and presents, integrated, the tools developed in each paper that can be used for implementation and scaling-up of a circular city program…(More).